See and feel the world one workout at a time on the Performance 800i ProForm Treadmill from RC Willey. 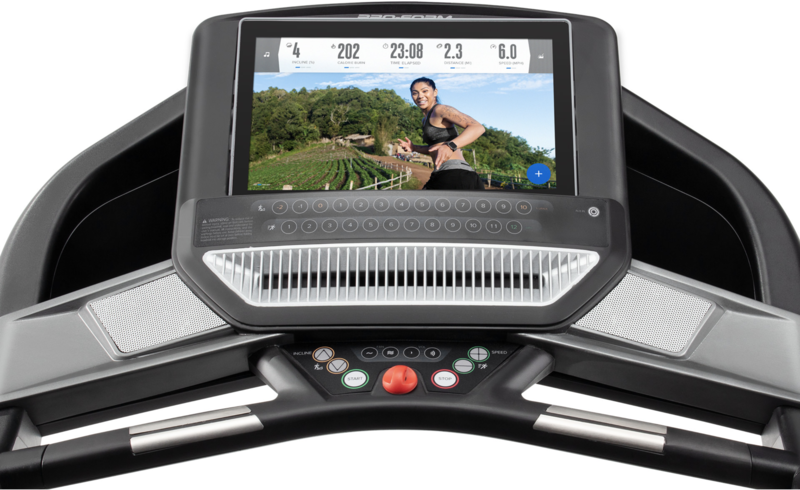 Let expert personal trainers guide your machine's speed and incline as you follow them through beautiful locations around the world on the huge, built-in 14 inch Smart HD Touchscreen. With QuickSpeed and Quick Incline Controls, you'll be able to run up to 12 MPH and between a 2% decline to 12% incline grade at the touch of a button on the 2.75 CHP motor that was built to last. Whether your trainer is pushing you too hard or you get the urge to sprint, you have complete control over your workout with just the touch of a button. Quickly change your speed up to 12 MPH or incline from -2% grade up to 10%, without breaking your stride or concentration. 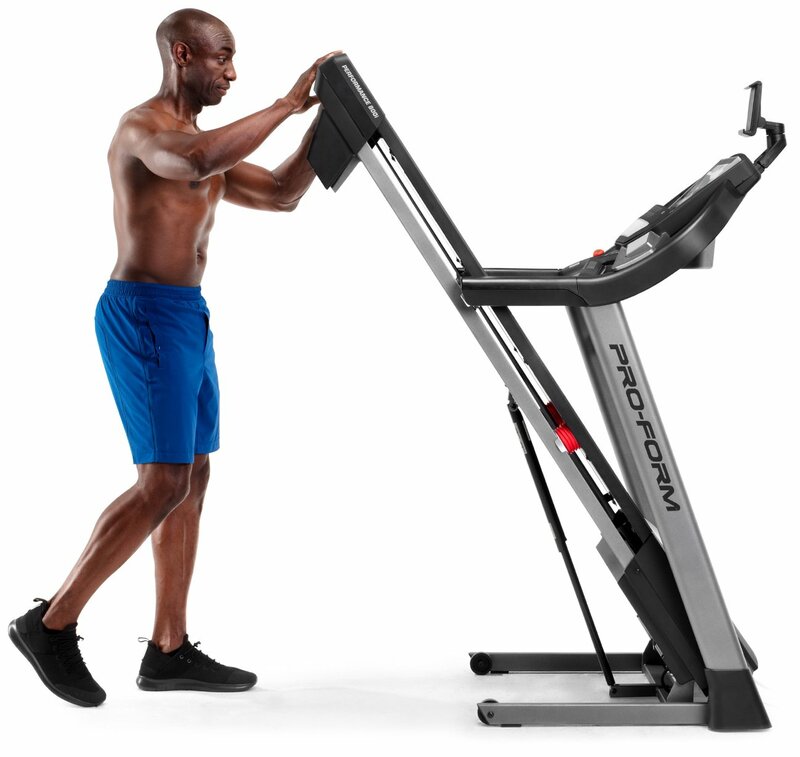 When you work out with ProForm's iFit trainers, you’ll be taken up hills and through valleys at all sorts of speeds. 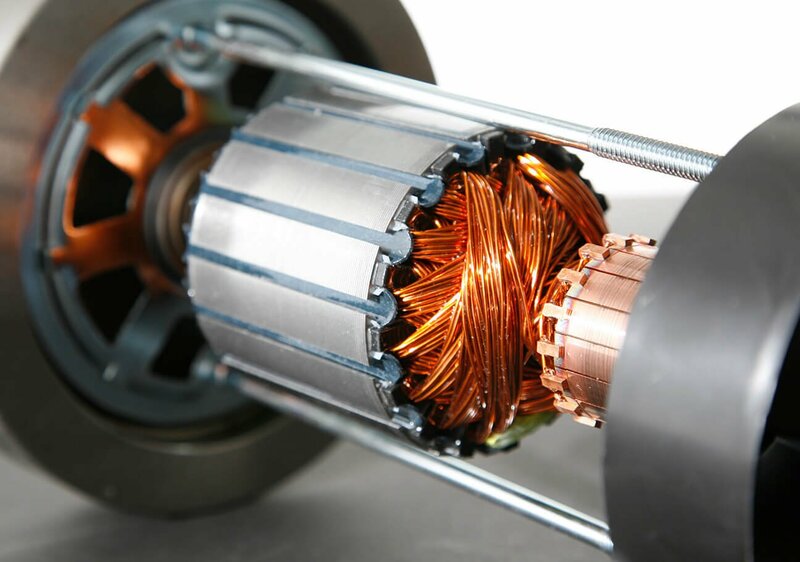 The motor on the Performance 800i sports a heavy 2.75 continuous horsepower drive system that’s guaranteed for life not to fail you no matter how often your incline or speed changes. Give your legs plenty of room to get moving. The 60 inch length is long enough to let you stretch out your stride, and the 18 inch width provides you with loads of comfortable elbow room. To ensure these treadmills are top quality, ProForm tests each belt for one million cycles at double the user weight before release. The last thing you need is something taking up more space around your house. That’s why ProForm engineered the Performance 800i with SpaceSaver Design, so you can conveniently fold the deck up and out of the way. And as an added bonus, they built in a powerful shock called EasyLift Assist that helps you lift the deck with an easy push. Stay captivated and motivated as you follow along with your favorite trainers guiding your workout through beautiful scenery around the world. 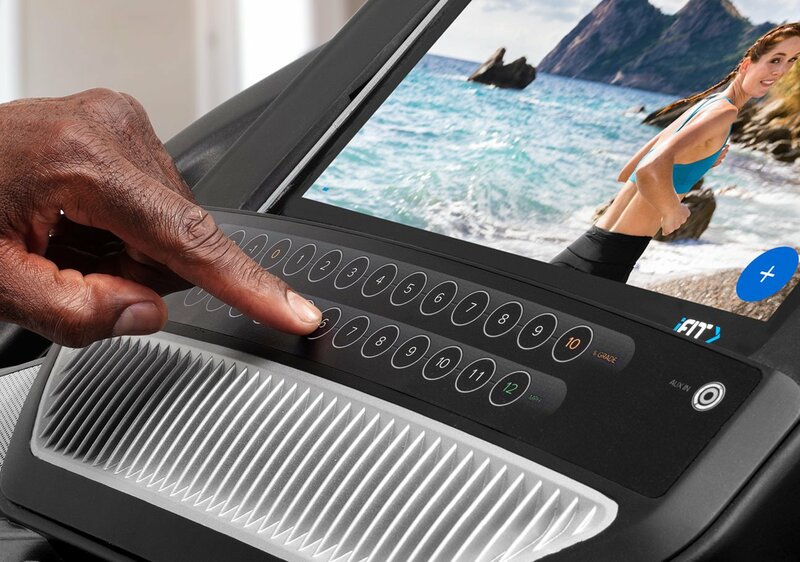 With a huge 14 inch touchscreen, it’s also easy to swipe through and view your workout stats as you run. Tread Belt 18" x 60"